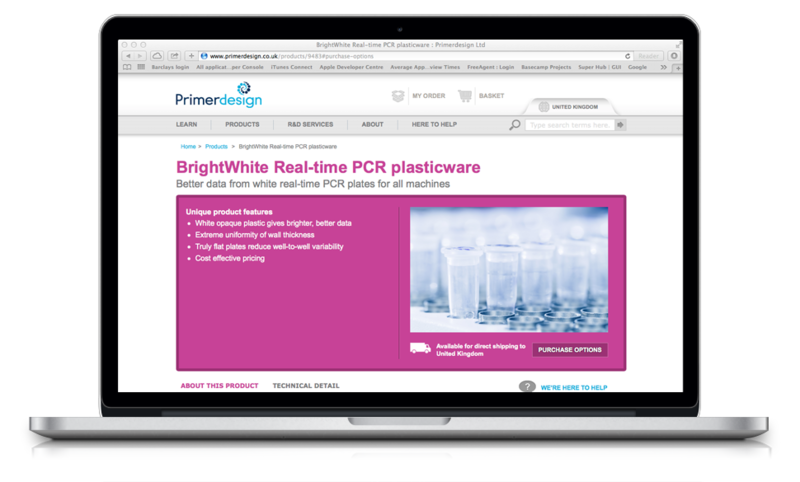 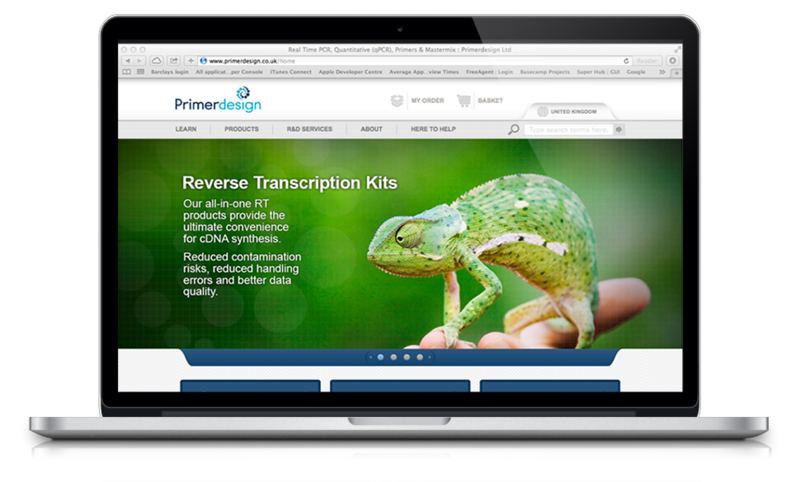 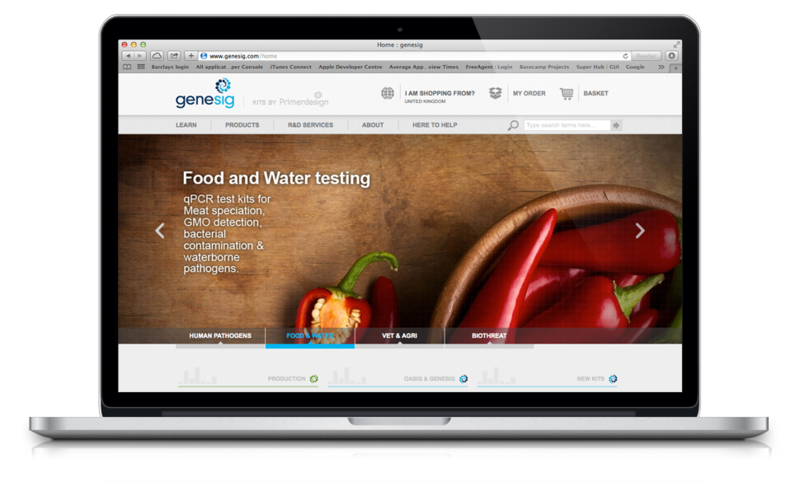 Primerdesign focuses on the design, manufacture, validation and supply of real-time PCR kits and reagents. 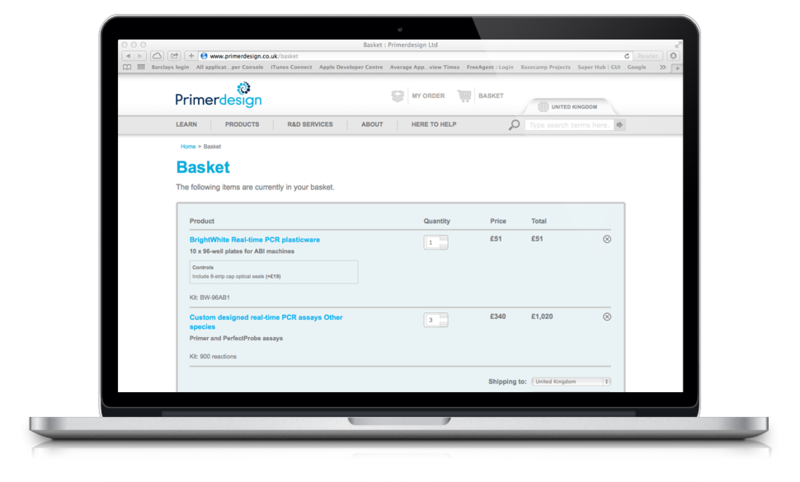 They commissioned Spectre to design and develop an e-commmerce website to support the increasing demand of these kits. 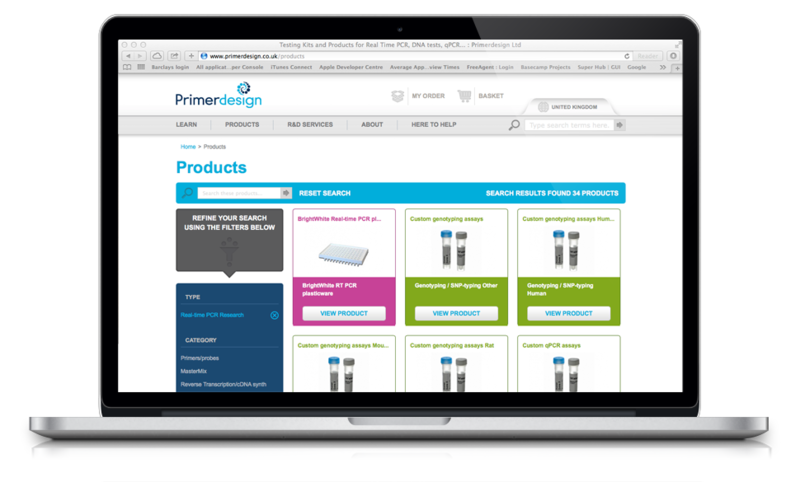 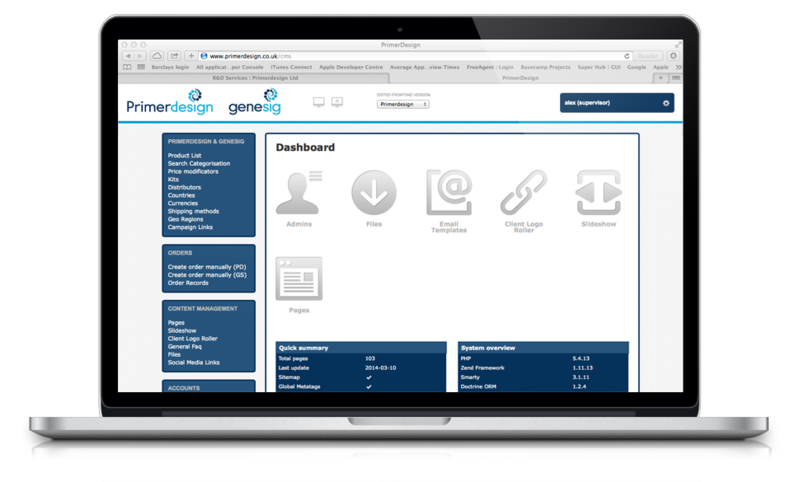 The site, managed by the latest in CMS systems, enable Primerdesign to control all aspects of the site including the ecommerce system. 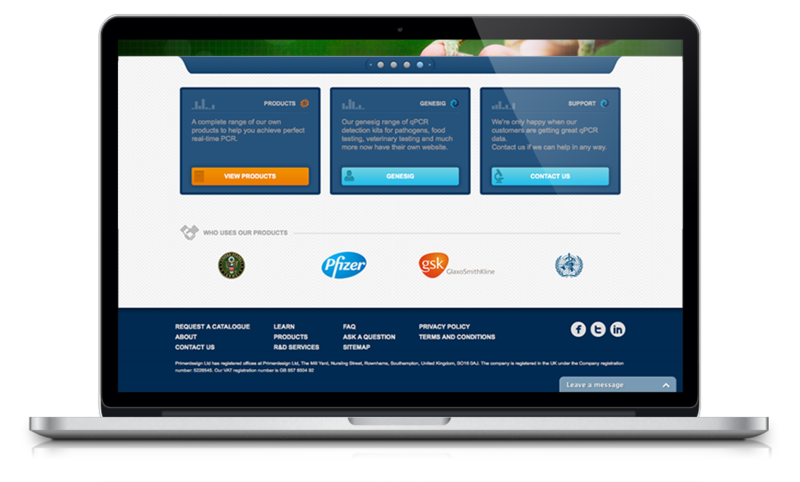 The result is an intuitive site able to fulfil the needs of this growing international market.